Über eine Milliarde gestohlen, Hundert von Millionen an Bestechungsgeld bezahlt, für Privaisierungen, wo Deutsche Politiker ebenso mitmachen. Reine Bestechungs und Erpressungs Kartelle, des Finanzbetruges, was ja lange bekannt ist. Die gestohlenen Milliarden der Aufbauhilfe, des Pentagon, der KfW landen alle in Dubai, im Meer der gesuchten Kriminellen und vorbestraften Verbrecher. Das Interpol Büro dort ist nur Show, von Verbrechern wie in Albanien viele Jahre kontrolliert. Goldman Sachs wiederum habe an 1MDB rund 600 Millionen Dollar Gebühren verdient. With Goldman shares in free fall (lending a patina of irony to the bank`s call that US stocks are heading for a bear market), CEO David Solomon is doing some much-needed damage control as the DOJ digs into the bank`s role in facilitating the $4.5 billion fraud at Malaysian sovereign wealth fund 1MDB. Goldman, as first reported in 2016, was deeply involved with the Malaysian government’s efforts to seed the 1MDB development fund, which, as we now know thanks to the DOJ, was used by former Malaysian President Najib Razak as his own personal slush fund, with most of the money going to purchase luxury yachts, paints – and some of the money was even used to help finance the Hollywood blockbuster „The Wolf of Wall Street“. In total, Razak and his cronies are believed to have stolen nearly $700 million. Seit der Jahrtausendwende und verstärkt seit der Finanzkrise 2008 übernehmen BlackRock &amp; Co maßgebliche Teile der Wirtschaft in der EU und in Deutschland. Auf dem deutschen Immobilienmarkt sind sie mittlerweile sogar die größten Privateigentümer von Mietwohnungen. Überall spricht man real, wegen diesem Betrug von einer Re-Kommunalisierung, weil das Desaster Weltweit ist, was nun fortgesetzt wird, mit Bestechunsgeld. 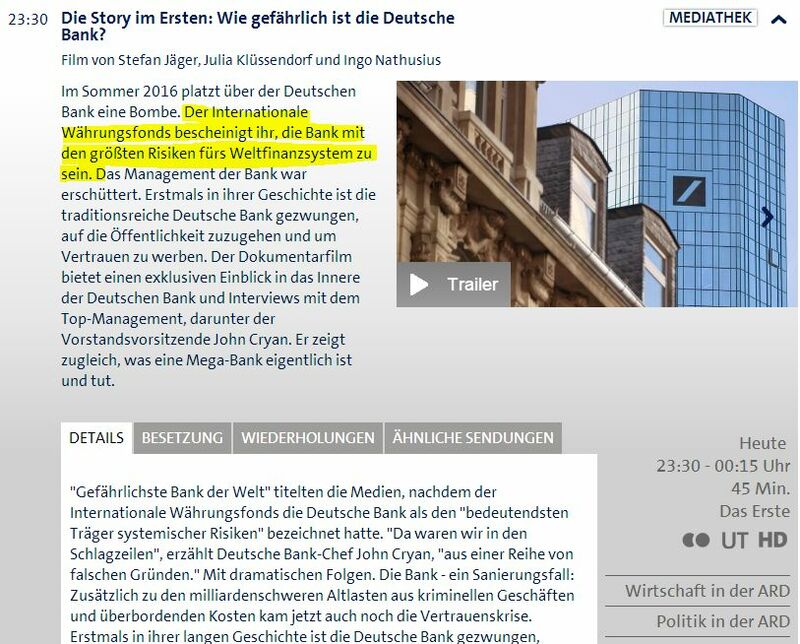 Die übelsten Consults wieder, die nie eine Beratung bieten konnten nur Betrug, inklusice die Betrugs Banken: Deutsche Bank, Goldman &amp; Sachs, wie auch Malaysia. Billiarden Verluste, wegen der Falsch Beratung vor allem von McKinsey, KPMG der Landesbanken, welche praktisch deshalb Alle abgewickelt werden musste. Und nun bezahlt die EU Commission, nochmal 800.000 € für eine unnötige Beratung für die Privatisierung, der Staats Betriebe, vor allem in Slowenien, Kroatien, was zum Ruin dieser Staaten führen wird. Berlinwasser der Deutschen Betrugs Mafia in Albanien, Betrugs Berater rund um Elber Sh.P.K. 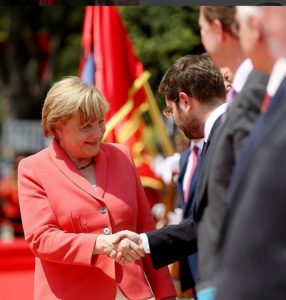 erpresste Verträge, für Politik Consults in Albanien, wurden Standard in diesem Unfug. Reine Betrugs Projekte Marshallplan mit Afrika , wenn man real u.a. durch subventionierte Agrar Exporte die Landwirtschaft zerstört, durch die Finanzierung von Palmöl Plantagen, ebenso die Zerstörung der Urwälder in Asien usw. Is the European Commission preparing a new privatisation push? Vor allem gibt es viel Bauschrott in Dubai, wo etliche Luxus Hotels schon abbrannten. Dubai has transformed itself into an extravagant metropolis where the police drive Lamborghinis and edible gold ice cream costs US $800 a scoop. But this success story is inextricably linked with the globalization of organized crime and corruption. One of the main avenues is the emirate’s abundant luxurious real estate — which, until now, could be purchased in secrecy. Now a leaked database of property and residency data pierces the veil to reveal the names of many of the world’s wealthy people who have invested millions in Dubai’s golden sands. The data was compiled by assorted professionals, obtained by the non-profit group C4ADS, and provided to OCCRP. This story is part of the Global Anti-Corruption Consortium, a collaboration by OCCRP and Transparency International. Dubai’s secretive offshore financial system seems to play a role in almost every international corruption scandal. Why? A major leak of privately collected property data in Dubai has revealed the enormous wealth amassed by a flamboyant British financier now under investigation in one of the world’s biggest tax evasion scandals. The Emirates Hills are known as the “Beverly Hills of Dubai.” It’s an exclusive housing estate where gleaming marble-clad villas, overlooking the perfectly manicured greens of a signature golf course, fetch up to US $52 million. A leak of private property data in Dubai has shed new light on how the proceeds of a notorious US$ 1.3 billion oil deal involving Royal Dutch Shell may have been spent on luxury properties in the secretive Arab Emirate. Khadem Al Qubaisi is an Emirati businessman who, while in charge of two Abu Dhabi state companies, enriched himself and his associates by diverting billions of dollar of public funds using a fleet of businesses and shell companies across the world. Drug trafficker and Russian organized crime figure Vasily Khristoforov was designated by the US Treasury in 2017 as a representative of the “Thieves in Law,” a Eurasian transnational criminal network. Guerman Goutorov is the chairman of the Canada-based Streit Group, one of the world’s largest private armored vehicle manufacturers. Hossein Pournaghshband, an Iranian citizen, was sanctioned by the United States in January 2016 for allegedly providing material assistance to Iran’s ballistic missile program. Kambiz Mahmoud Rostamian, an Iranian citizen, was sanctioned by the United States in February 2016 for allegedly providing “financial, material, technological, or other support” to two Iranian conglomerates involved in his country’s ballistic missile program. For two years, Othman El Ballouti, allegedly one of Europe’s major cocaine traffickers, has been on the run from Belgian police, who suspect him to be hiding in Dubai. Now a leaked database of real estate information shows the alleged drug lord owns property in the emirate. Sami Bebawi was a vice president of Montreal-based engineering firm, SNC-Lavalin, from 2000 to 2006. 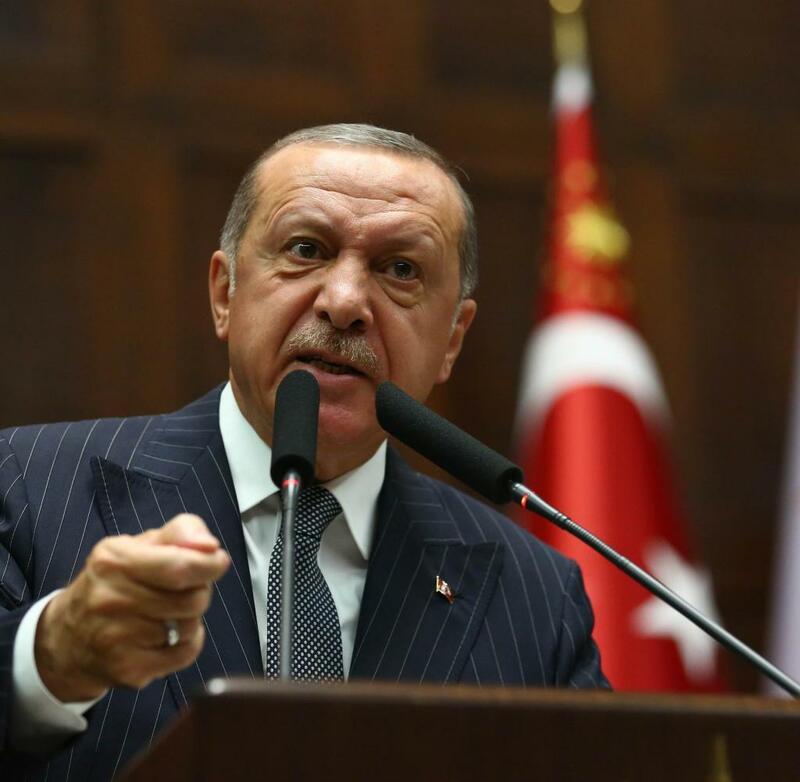 He stands accused of fraud, extortion, bribing a foreign official, obstruction of justice, possession of the proceeds of a crime, and money laundering. 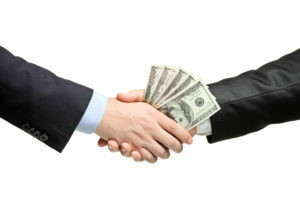 Adnan Khamis Abuzanat, a Minnesota businessman, was involved in a health care fraud scheme that cheated the state of Minnesota out of US$ 120,000 in welfare benefits, according to the FBI. Hassein Eduardo Figueroa Gomez is the son of an established drug trafficker. Karla Dorsch is the Dubai-based Managing Director of ‎Piedmont St. James Ltd., an executive leadership recruitment firm, which she helped found in 1999. On the night of Dec. 11, 2013 in Prague’s Old Town, four men jumped out of a Porsche Cayenne on Kaprova Street and attacked the security guards of the COCO Cafe Cocktail Bar. The following persons of interest appear in a private database compiled by real estate and property professionals, provided to C4ADS, and shared with OCCRP. The UAE real estate data — which appears to mostly represent ownership but also leasing of properties — is believed to have been generated between 2014 and 2016. The data is assessed as credible, but it does not constitute evidence of the same quality as an official property deed. Though most of the individuals in the database didn’t respond to requests for comment, the names have been verified using addresses, phone numbers, email addresses and interviews. Their inclusion on the list does not, in itself, imply any wrongdoing. Clemens von Goetze (Direktor der 3. 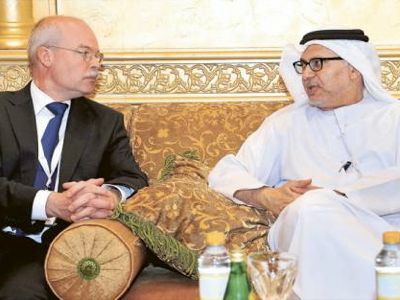 Abteilung des Bundesministeriums für auswärtige Angelegenheiten) und Anwar Mohammad Gargash (VAE Minister für auswärtige Angelegenheiten), während des Treffens der Arbeitsgruppe in Abu Dhabi für die Zerschlagung der syrischen Wirtschaft. 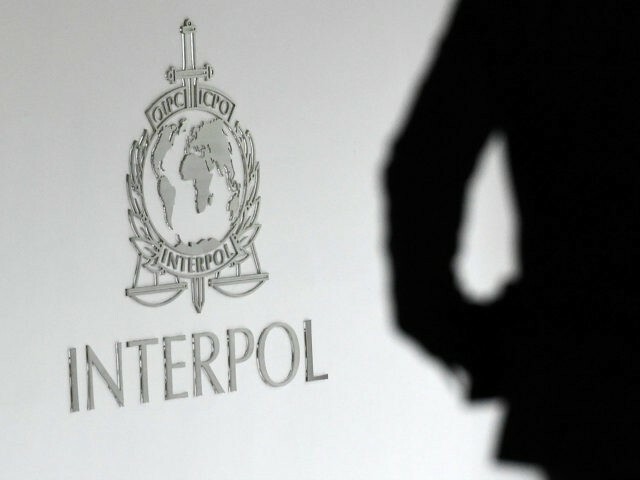 Interpol member-states are gathering in Dubai to select a new president after the agency’s former leader was detained in China. Nov. 18, 2018, at 4:29 a.m.
DUBAI, United Arab Emirates (AP) — Police chiefs from around the world gathered in Dubai on Sunday for Interpol’s general assembly to select a new president after the agency’s former leader was detained in China. Drei ehemalige Credit Suisse Banker und ein Ex-Minister sind wegen Betrug verhaftet worden. Die festgenommenen Verschwörer sollen 2016 in einen massiven Kreditbetrug verwickelt gewesen sein, der die Wirtschaft Mosambiks ruiniert hat, ein Staat im Süden Afrikas. Andrew Pearse (49), Surjan Singh (44) und Detelina Subeva (37) sind vor einem Bundesgericht in Brooklyn, New York, angeklagt worden, und die Verenigten Staaten fordern nun die Auslieferung der drei. Das Trio ist derzeit gegen Kaution wieder auf freiem Fuss. Ein vierter mutmasslicher Verschwörer, der ehemalige mosambikanische Finanzminister Manuel Chang, wurde vor etwa fünf Tagen auf dem südafrikanischen internationalen Flughafen OR Tambo festgenommen. Ein fünfter Mann, Jean Boustani, ein libanesischer Staatsbürger, der bei einem Auftragnehmer aus Abu Dhabi für mosambikanische Unternehmen gearbeitet hatte, wurde am Mittwoch am Flughafen John F. Kennedy in New York festgenommen, heisst es in einem Bericht der CNBC.